We are pleased to introduce a new publication, designed and published for our customers. 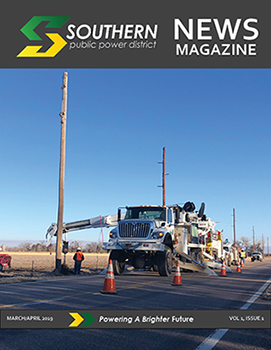 This 8-page magazine was direct-mailed to all customers of Southern Public Power District. It is also available to view online. View this edition today. Future editions will be published to our website on our Customer News Magazine page. You can locate this page in the future under the “NEWS” tab on the top menu bar.